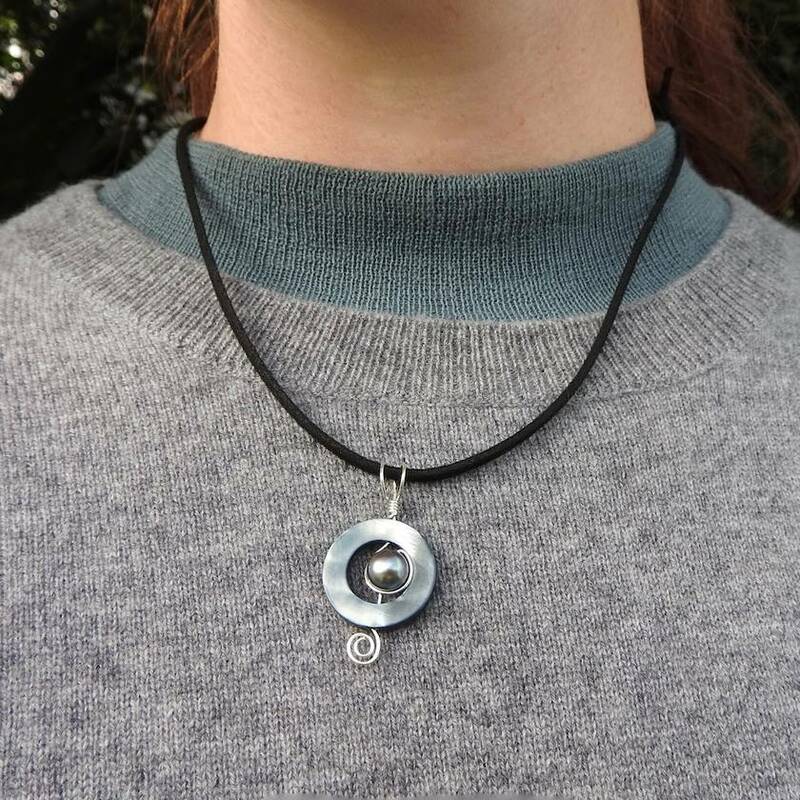 Soft and easy to wear, this Paua shell circle necklace with a black freshwater pearl nestled inside, sits comfortably on velvety black suede cord with recycled Sterling Silver hook and bindings. 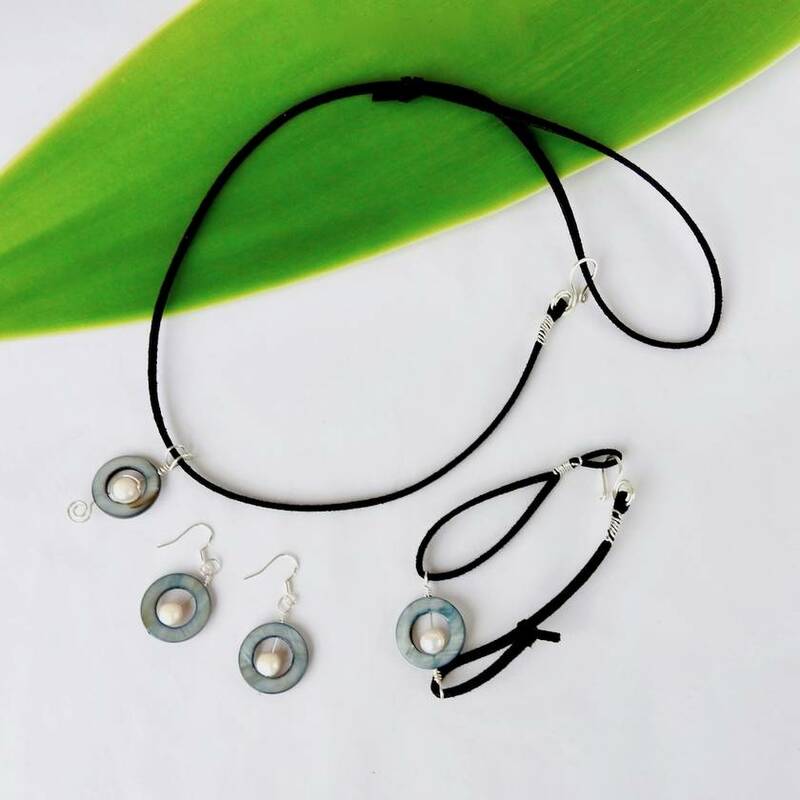 The thin wire that the paua and pearl sit on is also recycled Sterling Silver making it eco jewelry. There is a slip-knot on one side, enabling you to increase or decrease the size and fit of the necklace, as required. The one pictured measures from 32cm at it's shortest, up to 57.5cm in length. However it can be made to fit - so let me know if you would like a different range from this. Matching earrings and a bracelet are also available, and all pieces are alternatively available with an Ivory pearl. Please see separate listings for more detail. All items are made to order and come gift wrapped in a box. Please allow 1-3 business days for me to hand-craft this item for you. If you wish to purchase this as a gift, please also see my Premium Gift Wrapping option (separate listing) of a small kete (woven flax bag) and handmade card, inside which I am more than happy to hand-write a message. Gifts may also be sent straight to the recipient. 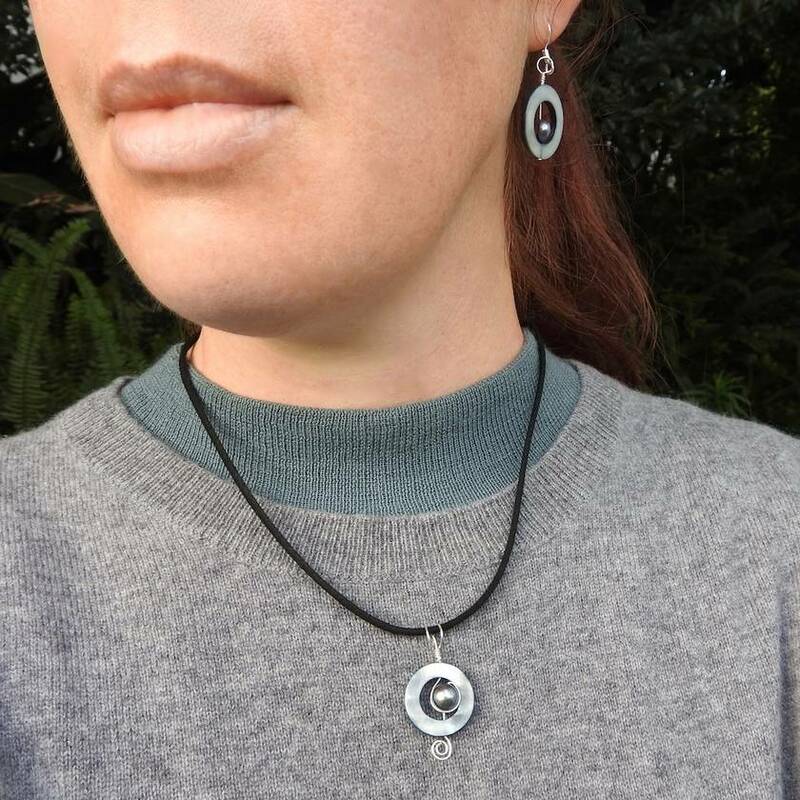 Contact curlicuenz to enquire about payment or shipping options.